Manchester City manager Pep Guardiola said the Premier League champions cannot compete with LaLiga powerhouses Barcelona and Real Madrid in the transfer market. 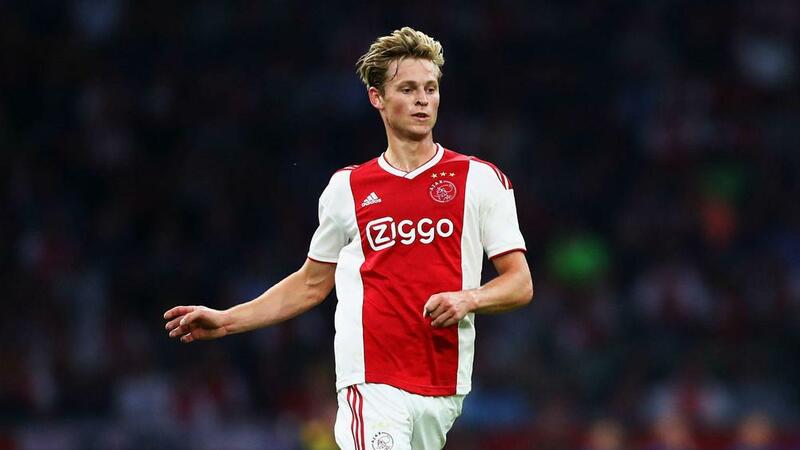 City have been linked with 21-year-old Ajax and Netherlands sensation Frenkie de Jong, who is also the subject of interest from Barca, Madrid and Ligue 1 champions Paris Saint-Germain. Guardiola did not reference De Jong but conceded City face a difficult task beating Barca and Madrid when it comes to transfers. "If you are the only one who want players it's easy. But if you want one and many, many clubs want him it's more complicated, especially if it's Madrid or Barcelona," Guardiola told reporters. "Normally when you are involved with Madrid and Barcelona you are going to lose. You have to be quicker and more efficient. "But I'm not talking about the case of the Ajax player because he is an Ajax player. There are many players, not just one if it doesn't happen." City - who are second in the Premier League behind Liverpool ahead of Monday's clash against Wolves - have also been linked with Ruben Neves to provide cover for holding midfielder Fernandinho. Wolves midfielder and Portugal international Neves has impressed following the club's promotion, however, Guardiola insisted City cannot afford the 21-year-old amid talk of a £100million fee. Guardiola added: "Fernandinho's role, it's so difficult to find [a similar player]. He knows the Premier League, after three years together here, he knows everything and that's so important. But, of course, for the next season it's an important target to find. He'll be 34 and he cannot play every few days. "A month ago, I started reading 'Ruben Neves, £100m.' That is not going to happen, we are not going to pay £100m for a holding midfielder. Of course, all departments in the club, we have in every position four or five or six options – depending on age, what we believe and, of course, the price. "Our wage bill for the players is eighth or ninth or 10th in Europe, so there are eight or nine clubs where the wages are higher than what Manchester City pay. We try to be stable in everything. "When we spent a lot last season, it was because the team was old – it was 30-31 years old and that's why we did it. But we cannot do it every season. We have a limit and cannot spend more so that's why we need to be careful with the players and try next season to see what we can do to improve."